RAGTIME is a group of women who are inspired by the wealth of clothing, accessories, and other useful goods available for re-creation. We meet regularly to encourage, teach, and share our creativity. And we love hand stitching. 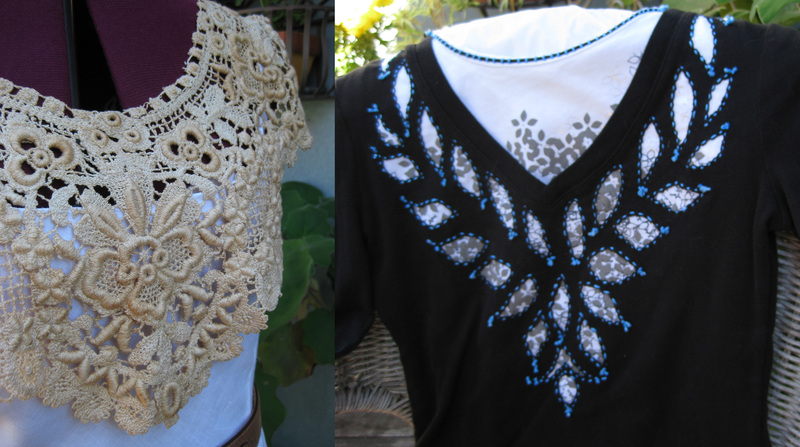 Garment makeovers and reverse appliqué by Mary Wood. (l) Hand-dyed slip dress embellished with thrift store lace and trim by Melinda Forbes. 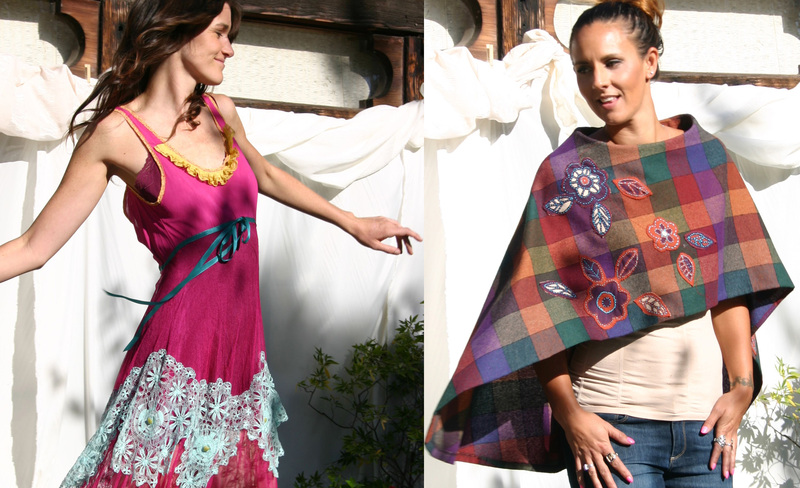 (r) Skirt transformed into a poncho with original hand stitched appliqués by Meg Johnson. Our projects promote the fun of thrifting, and the repurposing of abundant ‘stuff’ found in our closets. RAGTIME views under-appreciated clothing as a resource to transform — from discards into funky, elegant, artistic, and/or useful garments. This entry was posted in Uncategorized by galleryslo. Bookmark the permalink. You are all so creative and inspiring. I look forward to your next class.